Editor's note: Whether it’s taking a meeting over Hangouts from the airport before escaping to a much-deserved vacation or sending work emails from an air-conditioned neighborhood cafe, technology should help you get your work done faster so you can enjoy the summer months. To celebrate the season of sun, we’re sharing stories from customers who know all about the importance of technology when fostering a culture of mobility and flexibility. Today, we hear from Ben Darr, Product Development Manager at Thrillist Media Group, a digital media company based in New York that is responsible for men’s lifestyle brand Thrillist.com and popular online retailer JackThreads. 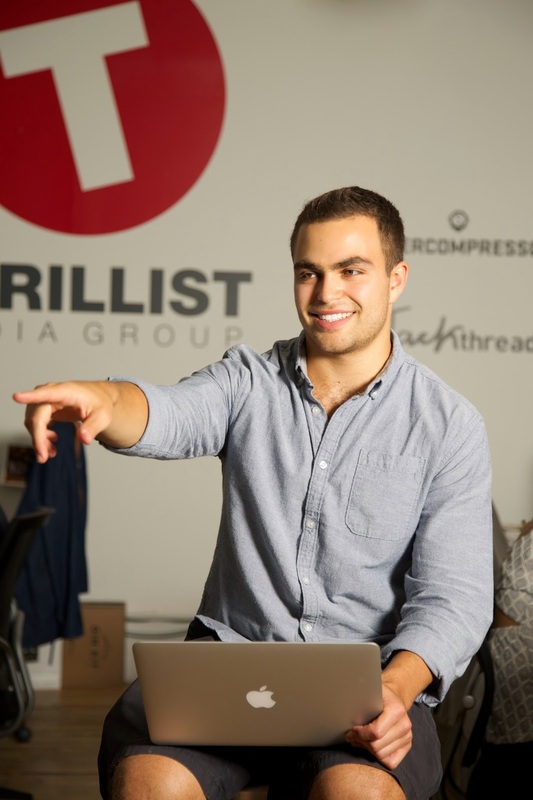 In the last four years, Thrillist Media Group (TMG) has gone from a small newsletter in a one-room office to a multi-propertied media group with more than 300 employees. We now operate within the realms of content, commerce, private label clothing, events, sales and proprietary tech platforms. We’ve worked hard to tie these unique industries together — a feat that requires high levels of communication between our offices in Manhattan, Brooklyn and Columbus, Ohio. 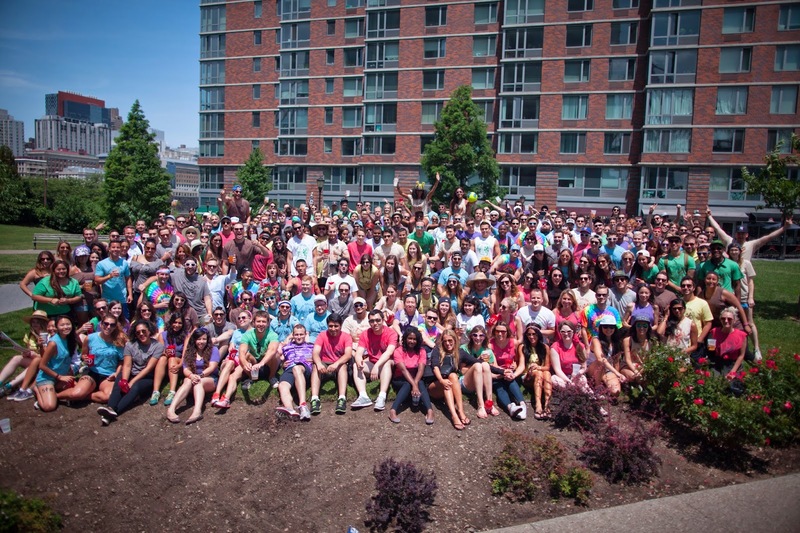 Thrillist’s collaboration between employees would not be possible without Google Apps. Thrillist’s employees are completely plugged into the Google ecosystem and the tools we need are mere clicks away and always available. What really sets the Google platform apart is the seamless integration and intuitive user experience. If you’ve ever used Gchat in the last few years, you know how to use Hangouts. If you can write an email, it’s a tiny skip to using a Google Doc. Being able to quickly switch between Apps without having to log in or learn how to use a new tool caters to our fast-pace environment and centralizes nearly all of our day-to-day files and communication. Whether someone has a quick question or needs to express a more complex idea via Hangout or email, Google Apps is there to give our team what we need to finalize the designs and copy with the client. After approvals, we upload all files to Drive, which makes it easy for multiple departments across the company to refer to them throughout the campaign. On the product side, our quality assurance team can then cross reference final design specs to custom-built sales and make note of any issues or differences in Google Sheets. When the campaign is live, I review how the entire process was executed and use our product page on the Thrillist Google Site to recount best practices and we took away from the campaign. Take, for example, this real-life scenario from a recent campaign: A client halfway across the country sponsored a custom sale on Jackthreads driving content on Thrillist and Supercompressor, two of our e-commerce properties. To start the process, our sales and design team held a kick-off meeting with the client via Google Hangouts to understand their vision and goals for the campaign. Throughout the meeting, everyone recorded ideas, guidelines and project timelines on one Google Doc. When the meeting ended, I shared the Doc with all the different TMG departments involved — other product members, photographers at our warehouse in Brooklyn, tech leads overseeing the build, sales reps communicating with the client and that lucky colleague on vacation at the beach. As a relatively small company, our projects are largely collaborative and everyone is juggling a large workload — and the specific example above is just a single piece in the complex TMG puzzle. Google Apps is critical to the work we do everyday; while other companies offer these services separately, none offer all of them together in one seamless, easy-to-use system.